The mysterious underground world of the geology of the Yucatan peninsula, or underground rivers, is now a link in the natural wonders of Mexico and the world. The cenotes as they are known in the peninsular area, from the mythological point of view of the ancient Maya, are the cosmogonic point of entrance to the underworld, and selective separate universe where lie the dead and the deities that attested to a Mesoamerican civilization . Located at kilometer 3 of the road Tulum - Coba, you can see the Cenote Aktun-ha, A series of caves and caverns that have been explored up to 2.5 km, for swimming and diving in a complex system of tunnels. Located 3.5 miles from Tulum on the road to the Mayan ruins of Coba, Gran Cenote is one of the most amazing and beautiful cenotes in the peninsula. 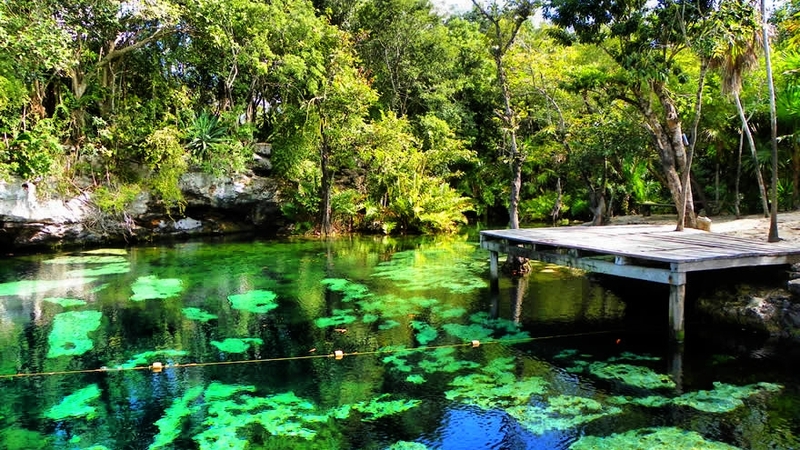 It has an enormous cavity diameter of 50 meters and 12 meters deep, has a large system of caves that can be explored snorkeling, diving without, has in its interior with stalactites and stalagmites can be seen a lot of light naturally in most of the cenote, making it the ideal place for novice divers. The cenote is a natural home to a diversity of fish and turtles and is suitable for the whole family, as its waters are shallow on one side and deep on the other. 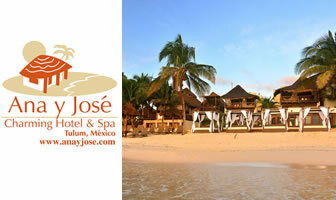 Located halfway between Puerto Aventuras and Tulum. The Cenote Manatee is also known as Casa Cenote, so called because it used to be home to a large number of manatees, they entered the cave that connects downstream to the ocean, and developed a new cenote its easily accessible, has a depth of 6 meters and the water is transparent blue. Inside the cenote you can see landscapes, coral formations and fissures in limestone, where you can admire the beautiful natural lighting effects. In the depths of the cenote is a large cavern that has estuary and part of the largest underground cave called Nohoch world in which Na Chich is an adventure swimming or diving. In this wonderful place you can enjoy diving, snorkeling and other water activities as this cenote is joined in a lagoon overlooking the sea you can admire the manatees. It is one of the few surface rivers in the Yucatan Peninsula as it is connected to the sea, has both freshwater fish and sea water, such as barracudas, blue crabs, manatees, among others. 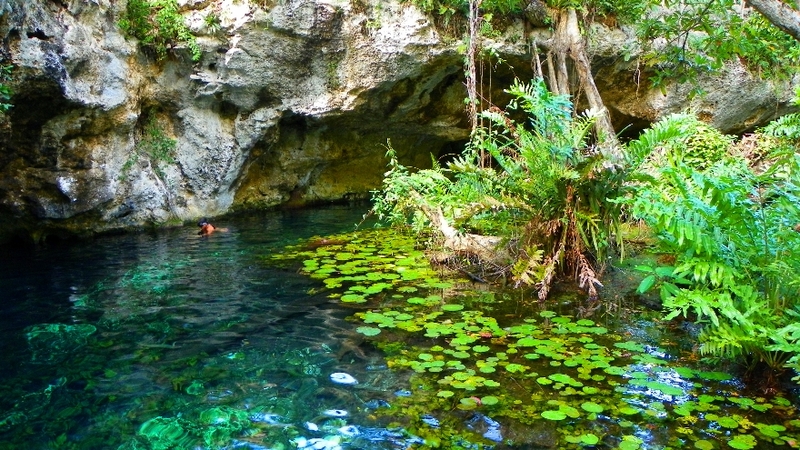 Just 5 minutes southwest of the city of Tulum on Highway 307 is the Cenote Cristal and Cenote Escondido. You can explore the waters for snorkeling or scuba gear. The green grass flowing in the background reflect the sunlight with a natural glow and magical. It can be seen inside fish and terrapins, while toucans abound and all kinds of birds of the forest above the palm trees surrounding it. There are four independent natural rock platforms where you can dive into the water while snorkeling, you can see the underwater cave of the current flows on the north side. A palapa is available for parties or group picnics. 5 minutes north of the archaeological site of Tulum, surrounded by lush jungle, lies the Cenote Calavera, thus named because when crossing the noonday sun through holes in the ceiling creates a two- eyes and a mouth, simulating a skull head. 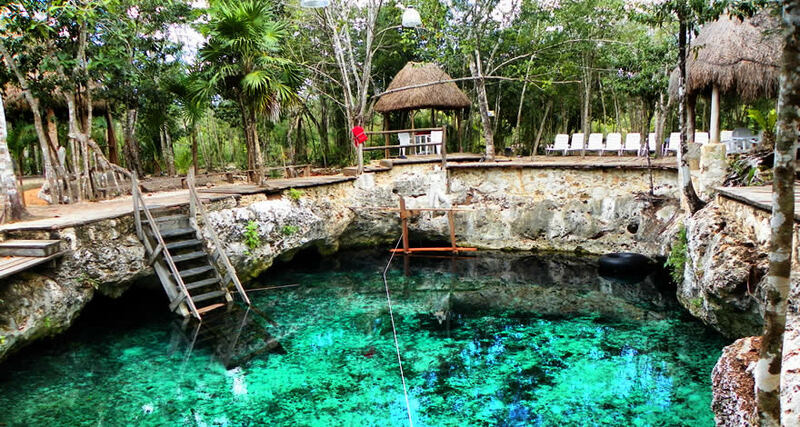 You need to walk 100 meters of trail up to a hole in the ground with a circumference of 10 meters to reach the clear waters of the cenote should swoop in about 3 meters,although there is a ladder available for download. Once inside, the great cavern opening round with a circumference of 160 meters. The walls of the cave with rocks where one can rest, meditate or simply enjoy the feeling of being inside an underground cave filled with fresh water.